MADISON – This week's torrential rains have brought devastating flooding to southeastern Wisconsin. The Wisconsin Department of Agriculture, Trade and Consumer Protection (DATCP) asks affected property owners to seek trusted local contractors for repairs and to be on the lookout for transient contractors (or "storm chasers"). "Out-of-state work crews move from town to town, popping up in storm-damaged neighborhoods seeking money for quick repair projects," said Frank Frassetto, Division Administrator for Trade and Consumer Protection. "At best, these teams could make some repairs but are not accountable for the quality of the work or for any damage they may cause to your property. At worst, they may be rip-off artists looking take your money and run." Always use caution in your interactions with storm chasers, never let them into your home, and do not give in to their high-pressure pitches. Start your search for help with a storm repair project by researching trusted local contractors. Seek references from friends, family members, local home builder associations and co-workers, and contact DATCP's Consumer Protection Hotline (800-422-7128) to find out about complaints against particular businesses. Ask contractors if they are subcontracting your job. If they are, find out who the subcontractor will be and check them out as well. Get lien waivers from anyone you pay for home repairs. Lien waivers protect you if the person collecting the money does not pay the suppliers or workers. Get a written contract with a start and completion date and warranty information. Also, make certain that the contract states exactly what work is to be done and what materials are to be used. Never rely on a verbal commitment. Have someone watch the work being done. Check with your local building inspector to see if the work requires a permit. Make sure an inspector visits the job site before you make a final payment. Request a copy of the contractor's certificate of liability insurance. Local door-to-door solicitation rules vary by municipality, and there are legitimate businesses that may knock on your door with a sales pitch. A good practice to follow is to request a business representative's permit to operate if your municipality has a door-to-door sales ordinance. 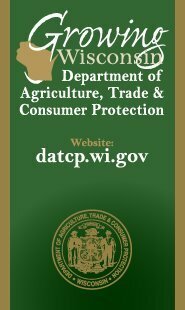 For additional information or to file a complaint, visit the Consumer Protection Bureau at datcp.wisconsin.gov, send an e-mail to datcphotline@wisconsin.gov or call the Consumer Protection Hotline toll-free at 1-800-422-7128. Connect with us on Facebook at www.facebook.com/wiconsumer or Twitter: @wiconsumer. Find more DATCP news in our Newsroom, on Facebook or on Twitter.